Accountable care organizations (ACOs) have enormous potential to deliver on the Triple Aim of improving the health care experience for patients and health of community populations while reducing unnecessary expenses. In order for ACOs to achieve these goals, however, most will have to rethink the way they interact with patients and how they deliver care. There are many barriers that prevent people from interacting with the health care system in an optimal way, and these barriers and obstacles can negatively impact their outcomes. Even before they become patients, people in the community find that social, financial, physical, and emotional barriers create a maze through which they must navigate in order to get appropriate care. 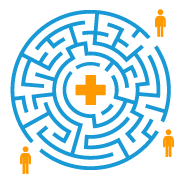 Patients who find themselves in this maze have a lot of questions and aren’t sure who to ask, don’t know where to go for care, or how to access resources they need along the way. Providers and administrators have attempted to address the barriers that patients experience by redirecting clinical resources towards the problem. Using high-value nursing resources to address non-clinical issues is not economically feasible long-term. But, traditional navigation programs haven’t gone far enough to proactively address the many barriers hidden within social determinants/factors that impact health. Solving the problem of how to bring down these barriers is critical for ACOs—the ability to improve the health of their population depends on it. Despite these challenges, it is possible to tear down the barriers to care that patients experience, to do it proactively so that patients stay healthier, and with a model that is financially viable. 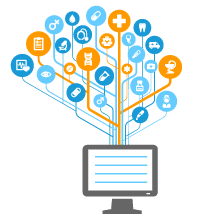 One of the keys to meeting these and other challenges that have made it difficult to deliver true value-based care lies within the vast amounts of patient data generated by the recent, rapid growth in health care technology. Unfortunately, the potential of that data to improve the health of patients has not yet been fully unlocked. There’s a disconnect between patient data and the ability to analyze and act on it, and this results in action gaps all around the health system. It’s not enough to identify patients; you have to engage them! The Guideway Care program of non-clinical care guidance boasts impressive reductions in unnecessary utilization rates, as well as significant improvements in patient satisfaction. By redesigning care teams to include care guidance, clinical staff members are free to focus on clinical issues, resulting in higher provider satisfaction and less burnout. With Guideway Care, patients get the non-clinical support needed to improve health and increase satisfaction, and organizations get comprehensive services with the proven ability to improve critical value-based care metrics without the risk of building an untested program or investing in additional technology. Simply put, Guideway Care has cracked the code when it comes to solving some of the most intractable problems faced by ACOs. 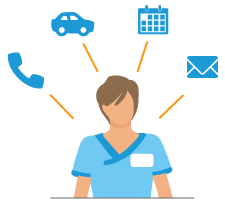 To learn how Guideway Care can help your accountable care organization, fill out the form below.